Clean out the gutters- get rid of all those falling leaves. Make sure all drainage areas are unblocked. 2. 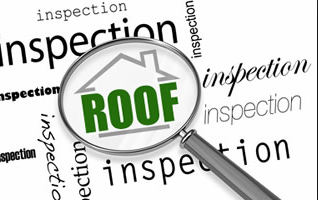 Have the roof checked- worried your roof might have loose shingles or is showing its age? Now is the time to have a professional take a look before those Winter storms come in. 3. Get your pipes prepared for the cold! To prevent exterior water pipes from bursting when the weather gets below freezing, turn off the valves to the exterior hose bibs. 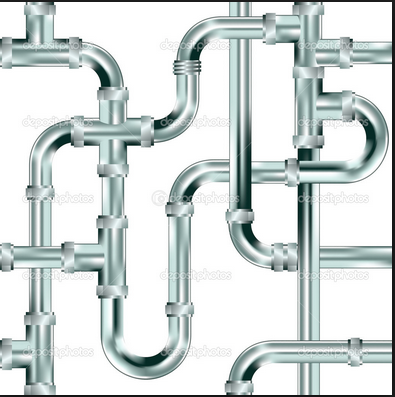 Run the water until the pipes are empty. Make sure all the water is drained from the pipes, if not; the water can freeze up and damage the pipes.Wrap water pipes that run along exterior walls with heating tape. It will save energy and prevent them from freezing. Not only is it the first thing you see when you come home but don’t forget it’s the first thing your buyers see. 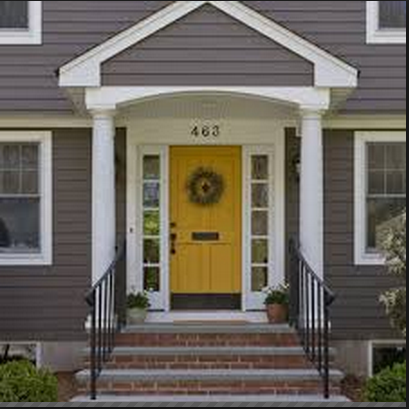 The front of your house is your introduction and sets the tone for showings and impressions of your home. 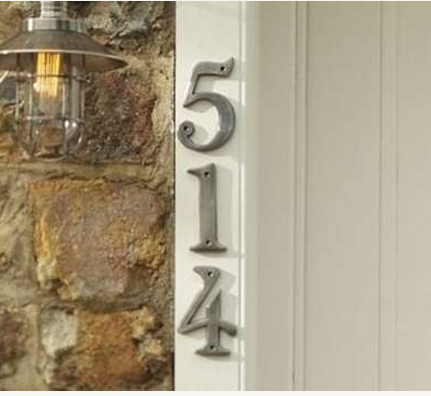 Here are some easy updates to vamp up your curb appeal. 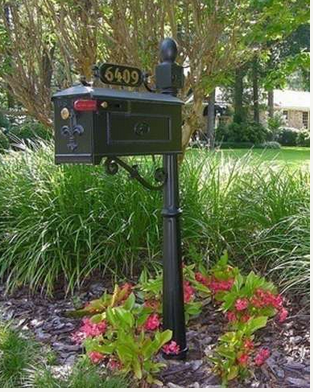 It sounds so simple but many sellers don’t spend the small investment to add this friendly touch. 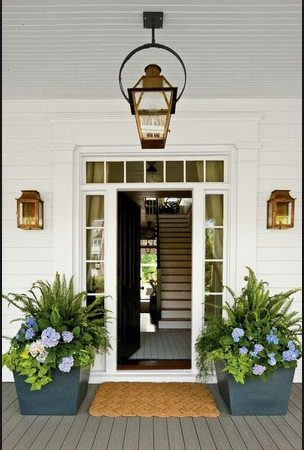 I’m partial to the large double pots flanking a door to add symmetry and interest without too much distraction. If it is the winter months consider a lovely evergreen and holly arrangement. Most local florist are thrilled to put these together for you. Remember people are carefully looking at both of these to be sure they have the right house. If they are rusted or dilapidated it gives the impression the house is not well cared for. Easy small expenditure to ‘freshen’ your look. Colored doors are instyle right now. 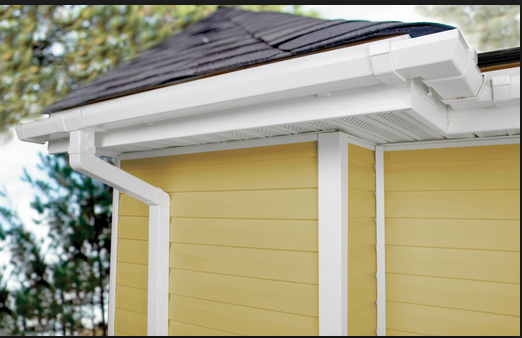 If you are looking for a great ‘pop’ to set your house apart, yellow looks wonderful particularly with grey, blue, or white siding. Red is also a nice standard traditional look and if those are too bold for you then just a freshen up of your current color makes a big impact! 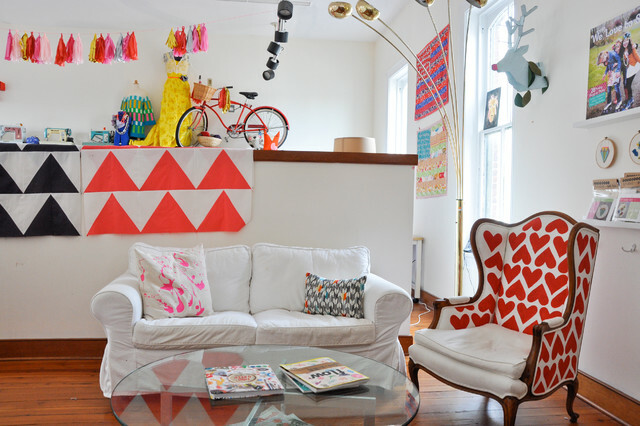 There are some really fun and simple ideas in this post on Houzz from Laura Gaskel that you can squeeze into your final days of summer before you have to get serious shopping for back-to-school. One of my favorites is the chalkboard paint. I never thought to use it in a bathroom, but I think it really works!